Have your own dedicated server with Ubuntu installed on hardware or an Ubuntu VM in our cloud. You are root (OK, it’s Ubuntu… so you can sudo), do whatever you want with it. No minimum term, no setup fee. Ubuntu is a complete Linux-based operating system. Ubuntu uses the “apt” package manager, which users of Debian Linux will be familiar with, and a huge library of pre-compiled packages (over 16,000). It is very easy to install, update and remove software in your Ubuntu system. Ubuntu is Open Source software and the Ubuntu operating system is free of cost. In practical use, it is perfect for the person that wants the stability but does not require the commercial support and cost that commercial products offer. The Ubuntu community is built on the ideas enshrined in the Ubuntu Philosophy: that software should be available free of charge, that software tools should be usable by people in their local language and despite any disabilities, and that people should have the freedom to customize and alter their software in whatever way they see fit. Anything Linux can be used for! Our standard Ubuntu dedicated server platform is a high-performance, 1U or 2U high Supermicro chassis with your choice of processors such as Intel Dual-core and single or dual Intel Xeon. 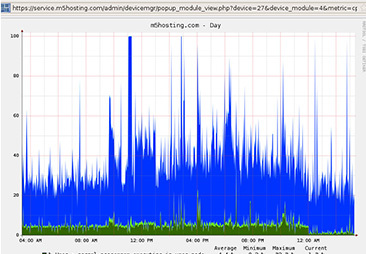 We have dedicated servers available from 4GB of RAM to 512GB of RAM. 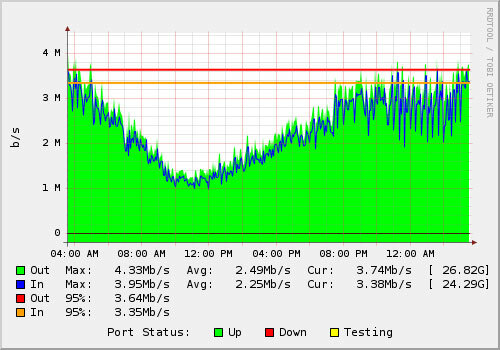 All of our dedicated servers have switched 1Gbps (1Gbit) Ethernet connections. Customized configurations are available with larger amounts of RAM or 10Gbits network. 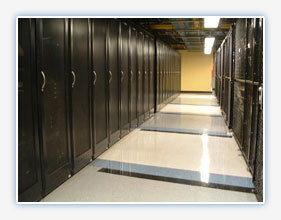 We can also colocate your provided hardware. Other dedicated server hardware configurations are available. 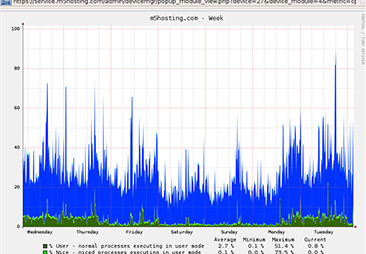 All our Dedicated Servers are monitored for availability (pinged every 5 minutes). In the event that your server goes down, you will be paged and/or e-mailed at the same time as our NOC. 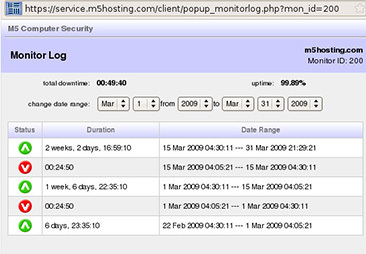 This web-based system can also give you uptime statistics and you can review historical monitoring data for your servers. 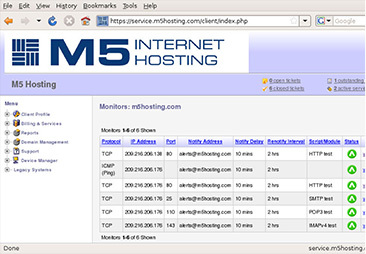 We can also monitor network-based services such as HTTP, HTTPS, FTP, SMTP, POP3, DNS, and others on your server for availability. 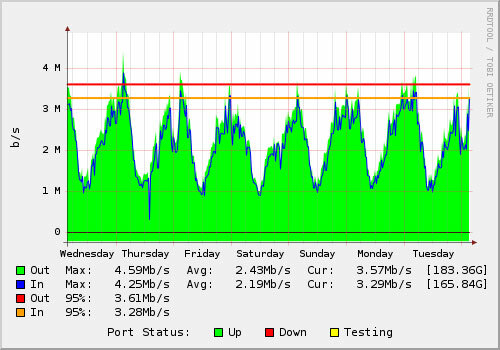 Each and every switch port on our network is monitored for bandwidth, errors, discards and other anomalies. 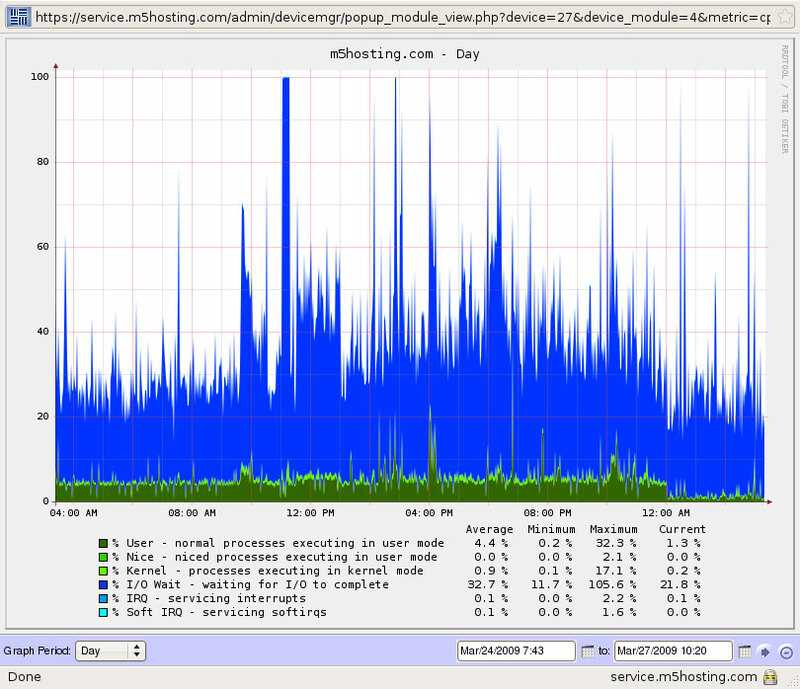 You have 24×7 web-based access to graphs that detail your bandwidth utilization by speed, and data transfer over time. 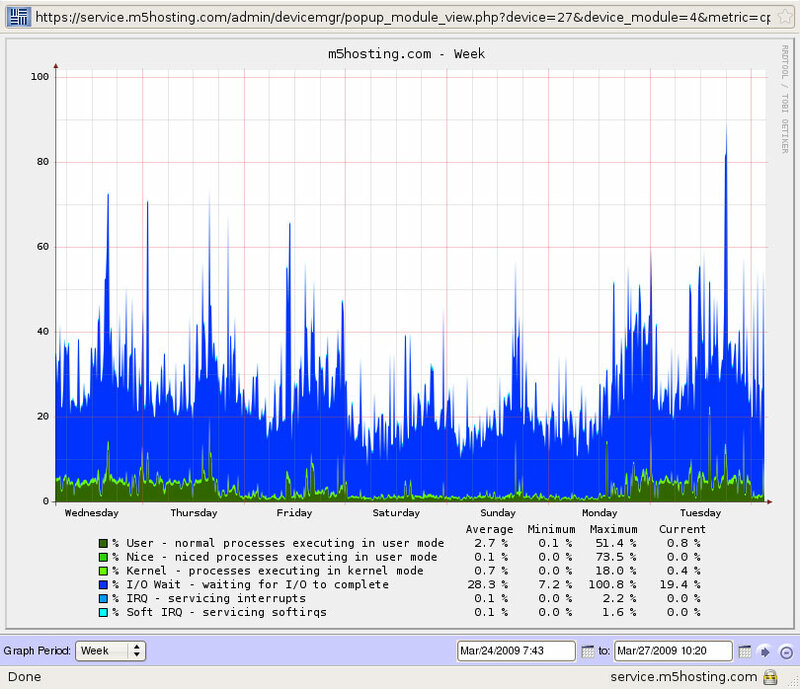 You can also monitor your server health (CPU, disk use, memory, disk I/O, system load average). As an additional service, we can set alerts for you if thresholds are exceeded. The facility is staffed 24×7 and is serviced with redundant air, power and network. We share the facility with some of America’s top financial institutions, government contractors, biotech and research organizations, hosting companies and network security companies. Our network’s lightning-quick, punchy response to almost anywhere is ensured by InterNAP’s Flow Control Platform technology. The InterNAP Flow Control Platform (InterNAP FCP) monitors all of our 10-gigabit carrier connections for latency, jitter, packet loss, BGP blackouts and more, for each destination network. If there is a better path available than the current path, then a route change is made and the better path is used to reach that specific destination network. The selected route used for each communication will be the fastest of any of our direct connectivity to Level 3 Communications, XO Communications, Cogent, American Internet Services and others. 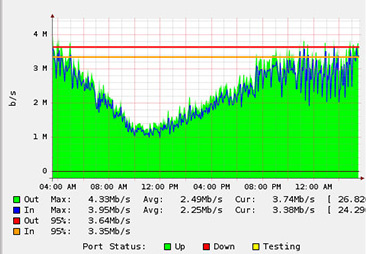 This solution increases performance by greater than 50% over regular BGP solutions. Standard BGP does not have any metric for performance and can not make route changes based on performance information like our network can. There just isn’t a better network in San Diego. Additional services such as premium whole disk backups, managed or un-managed firewall services and server load-balancing are available for an extremely competitive additional cost. We are proud of our solid performance and availability! 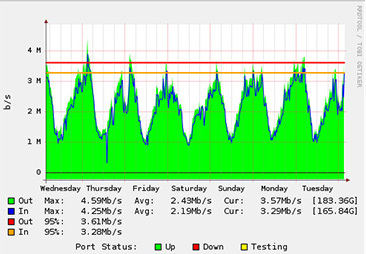 See our actual network availability statistics here. We have systems standing by for you to move into quickly. Be up and running in a few hours. 95% of orders are completed within 24 hours. All prices are monthly, and services are provided monthly, unless other arrangements are made. If you have questions, need a special configuration, or just want to know there are humans here, please contact us before you buy. Configure Your Server Now !